condense, if you will, the 50 thousand years of man’s recorded history in a time span of but a half-century. Stated in these terms, we know very little about the first 40 years, except at the end of them advanced man had learned to use the skins of animals to cover them. Then about 10 years ago, under this standard, man emerged from his caves to construct other kinds of shelter. Only five years ago man learned to write and use a cart with wheels. Christianity began less than two years ago. The printing press came this year, and then less than two months ago, during this whole 50-year span of human history, the steam engine provided a new source of power. Newton explored the meaning of gravity. Last month electric lights and telephones and automobiles and airplanes became available. Only last week did we develop penicillin and television and nuclear power, and now if America’s new spacecraft succeeds in reaching Venus, we will have literally reached the stars before midnight tonight. this city of Houston, this state of Texas, this country of the United States was not built by those who waited and rested and wished to look behind them. 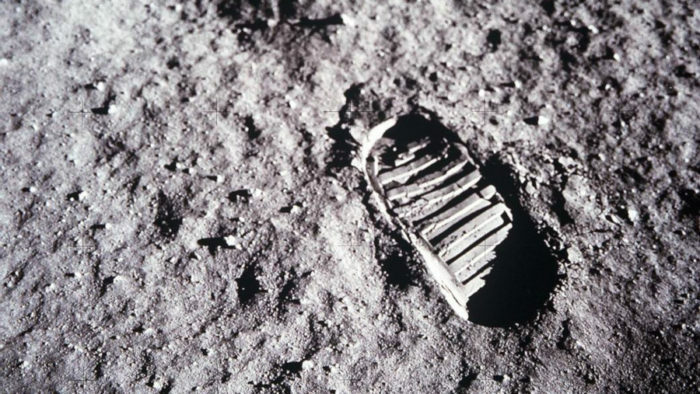 This country was conquered by those who moved forward—and so will space. But why, some say, the moon? Why choose this as our goal? And they may well ask why climb the highest mountain? We choose to go to the moon. We choose to go to the moon… (interrupted by applause) we choose to go to the moon in this decade and do the other things, not because they are easy, but because they are hard. To be sure,… (interrupted by applause) to be sure, we are behind, and will be behind for some time in manned flight. But we do not intend to stay behind, and in this decade, we shall make up and move ahead. And finally, the space effort itself, while still in its infancy, has already created a great number of new companies, and tens of thousands of new jobs. Space and related industries are generating new demands in investment and skilled personnel, and this city and this state, and this region, will share greatly in this growth. That was once the furthest outpost on the old frontier of the West will be the furthest outpost on the new frontier of science and space. Houston, (interrupted by applause) your city of Houston, with its Manned Spacecraft Center, will become the heart of a large scientific and engineering community. we shall send to the moon, 240 thousand miles away from the control station in Houston, a giant rocket more than 300 feet tall, the length of this football field, made of new metal alloys, some of which have not yet been invented, capable of standing heat and stresses several times more than have ever been experienced, fitted together with a precision better than the finest watch, carrying all the equipment needed for propulsion, guidance, control, communications, food and survival, on an untried mission, to an unknown celestial body, and then return it safely to earth, re-entering the atmosphere at speeds of over 25 thousand miles per hour, causing heat about half that of the temperature of the sun—almost as hot as it is here today—and do all this, and do it right, and do it first before this decade is out—then we must be bold.